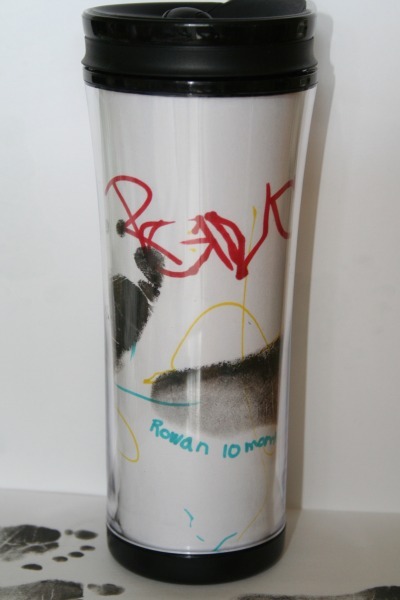 Rowan's Dad is an artist. A GREAT artist. For Father's Day, I thought it would be cool for little dude to create a masterpiece to give as a gift. I was hoping to capture at least one photo of Rowan in action, but this 10 month old artist needed a lot of help and lost interest quickly. 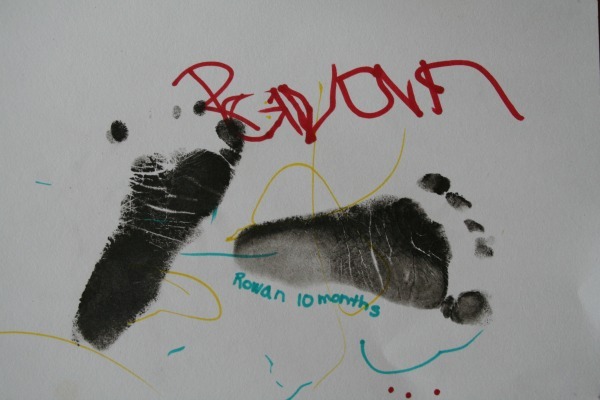 His footprints proved to be a challenge too; however they turned out much better than I had anticipated. Bonus: I didn't get ink everywhere! 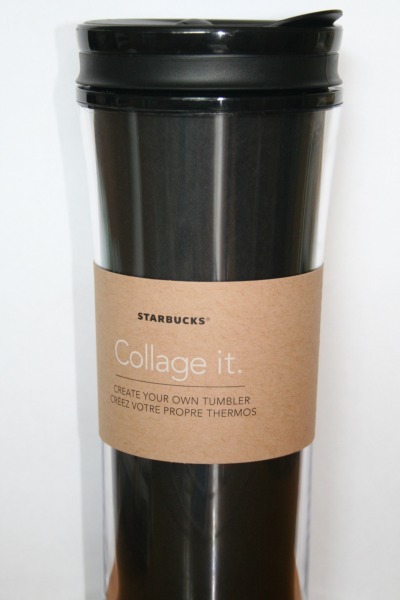 Instead of framing the picture, I nabbed a 'Collage It' travel mug from Starbucks.